The significant growth of tourism in the past years is having a positive effect on the domestic economy, which translates into the modernisation of the aviation legal sector. 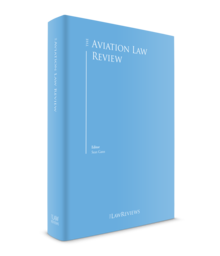 Presently, the legal framework for civil aviation in Portugal is the product of many different sources, namely international law (conventions or treaties), EU law and national law. The National Civil Aviation Authority (ANAC) has administrative and financial autonomy and is responsible for ensuring the proper planning of all activities regarding the civil aviation sector, as well as regulating and supervising the conditions in which they are developed. One of its most important tasks is to ensure high standards of safety. As part of its regulatory role, ANAC is responsible for the licensing, certification, authorisation and approval of the activities and procedures, entities, personnel, aircraft, infrastructure, equipment, systems and other resources allocated to civil aviation. ANAC is under the supervision of the Ministry of Planning and Infrastructures. ANAC's registrations are performed by the National Aeronautical Registry, which records the following facts: the aircraft registration number, the manufacturer's serial number of the aircraft and of the engines, the name and address of the owner or lessor, and of any lessee, as well as any other interest or lien on the aircraft (co-ownership, mortgages, etc.). The obligation to register aircraft mortgages is set forth in Decree No. 20062 of 1931 – Air Traffic Regulation. Portugal has implemented the EU Regulation on aviation market access through Decree-Law No. 116/2012, 29 May, which establishes the legal regime of market access, guided by the principle of non-discriminatory treatment, allowing Community air carriers the access to available air routes in all air service agreements signed by Portugal. Although the Portuguese Labour Code is applicable to civil aviation employees, there are some specific aspects such as working schedules, resting periods and specific duties imposed on captains, among others. Furthermore, Decree-Law No. 109/2008, 26 June (following Regulation (EC) No. 793/2004, 21 April 2004), sets out the coordinated and scheduled facilitated airports in Portuguese territory. This Decree-Law also focuses on two relevant entities: ANA Airports of Portugal, which was privatised in 2013, and coordinates and facilitates the slot-allocation process; and the National Coordination Committee, which has consultancy and mediation functions on these matters. Since 1994 Portugal is not authorised by the European Commission to grant state aid to TAP, the national airline of Portugal. Therefore, banks and financial entities are the sole recourse for financing TAP. In Portugal, liability in the aviation sector is governed by national, international and EU law. the Convention for the Unification of Certain Rules for International Carriage by Air signed in Montreal on 28 May 1999 ratified on 27 November 2002. Portugal has approved but has not yet ratified the 1933 Rome Convention on the Unification of Certain Rules relating to the Precautionary Arrest of Aircraft. Portugal is a party to the New York Convention of 1958 (the Convention on the Recognition and Enforcement of Foreign Arbitral Awards), and will apply the Convention only to recognition and enforcement of awards made in the territory of another contracting state. TAP is a party to the International Air Transport Association Intercarrier Agreement on Passenger Liability and the Agreement on Measures to Implement the IATA Intercarrier Agreement. Both domestic and EU air carriage of passengers and baggage are governed by Regulation (EC) No. 889/2002 of 13 May, amending Regulation (EC) No. 2027/97 of 9 October, which sets out air carrier liability in the event of accidents. Additionally, Decree-Law No. 321/89, 25 September, contains specific provisions on liability arising from the air transportation business. For more information, see Section VII. Air carriage that does not fall within the scope of the aforementioned legislation, namely gratuitous air carriage by an air transport undertaking or gratuitous air carriage performed by a private entity, are governed by the general rules applicable to liability established in the Portuguese Civil Code and by the applicable conventions. The general rules set forth in the Civil Code are applicable to all flights that are not included in scheduled air services and non-scheduled operations for remuneration or hire. In Portugal, there is a specific legal framework established for free-flight aircraft and microlights – Decree-Law No. 238/2004 of 18 December, amended by Decree-Law No. 283/2007 of 13 August. Generally, free-flight aircraft and the microlights can only be used for training, recreational and sport purposes. However, provided certain conditions are met, microlights can be flown in different situations. Regulation (EC) No. 261/2004 of 11 February, establishing the common rules on compensation and assistance to passengers in the event of denied boarding and of cancellation or long delay of flights, was implemented through Decree-Law No. 209/2005 of 29 November, which created the legal framework for sanctions applicable to violations of the Regulation. The supervision and administrative procedure related to passenger rights is carried out by ANAC. Air carriers have a legal duty to provide all relevant data to ANAC. The legal regime of civil aeronautical administrative offences established by Decree-Law No. 10/2004 of 9 January should be added to the administrative offences established in the above-mentioned Decree-Law No. 209/2005. In addition, Regulation (EC) No. 1107/2006 of 5 July, regarding the rights of disabled persons and persons with reduced mobility when travelling by air, was adopted in Portugal through Decree-Law No. 254/2012 of 28 November, which sets out the scope and conditions for the application of the said Regulation. The aviation sector is ruled by the same general liability provisions applicable in Portugal to other activities, which besides the Civil Code, include Decree-Law No. 383/89 of 6 November, regarding product liability (see Section VII.iii), and the Competition Act – Law No. 19/2012 of 8 May – that provides several fines for cases of anticompetitive practices (see Section VI). Furthermore, in a chapter dedicated to crimes against the safety of communications, the Portuguese Criminal Code sets out four types of crimes involving air transport (see Section VIII.ii). The Portuguese Environmental Framework enacted by Law No. 19/2014 of 14 April, establishes the rights and obligations regarding environmental protection, as well as a liability principle through which compensation can be obtained from those who threaten or provoke damage to the environment. Commercial air carrier services, scheduled and non-scheduled for passengers and their baggage, mail and cargo, require prior licensing by ANAC. The main piece of legislation applicable to the licensing of aviation operations in Portugal is Regulation (EC) No. 1008/2008 of 24 September, on common rules for the operation of air services in the Community. A Portuguese air carrier must hold an operating licence as well as an air operator's certificate, which is granted by ANAC. The aircraft has to be registered and hold a valid certificate of airworthiness. Additionally, pursuant to Decree-Law No. 275/99 of 23 July and further amendments, which transposed Directive No. 96/67/CE of 15 October, handling services including self-handling are also subject to licensing. For more information, see the European Union chapter in this publication. Regulation (EC) No. 1008/2008 of 24 September is applicable and, therefore, for an undertaking to be granted an operating licence, Member States or nationals of Member States must own more than 50 per cent of the undertaking and effectively control it, whether directly or indirectly, through one or more intermediate undertakings. Pursuant to Article 15 of Regulation (EC) No. 1008/2008 of 24 September, EU air carriers that have been granted an operating licence by another Member State are entitled to operate intra-Community services. In Portugal, extra-community air services are governed by the Chicago Convention, as well as by several bilateral treaties. The rights for the conduct of international air transportation by non-EU carriers to and from Portugal airports is governed by the air transport agreements entered into by and between Portugal and certain non-EU states, or, in the case of the United States, by the European Community and its Member States on the one hand, and the United States on the other. Traffic rights (meaning the right of an airline to carry passengers, cargo or mail on an air service between two airports) require an operating authorisation and a technical permission that must be obtained from ANAC. Code-sharing also requires prior authorisation from ANAC. The main piece of legislation applicable to air safety in Portugal is Regulation (EC) No. 216/2008 of 20 February, plus further amendments, on common rules in the field of civil aviation, and establishing a European Aviation Safety Agency (EASA), whose main objective is to establish and maintain a high, uniform level of civil aviation safety in Europe. Internally, Decree-Law No. 289/2003 of 14 November, regarding the certification of air operators, establishes several safety requirements for operators, which include the applicable requirements for continued airworthiness of aircraft, parts and spares, maintenance and crew members' training. Furthermore, Decree-Law No. 17-A/2004 of 16 January establishes the general regime for licensing civil aeronautical personnel for the performance of the following activities: private pilot for aircraft or helicopters; commercial pilot for aircraft or helicopters; air carrier pilot for aircraft or helicopters; flight engineers; and maintenance-certifying staff. Additionally, Decree-Law No. 40/2006 of 21 February, which transposes Directive No. 2004/36/CE of 21 April, provides the rules applicable to the safety of third-country aircraft using EU airports, and creates the procedures applicable to the inspections to be conducted on such aircraft. In accordance with Decree-Law No. 40/2006 of 21 February, as amended, any aircraft to be found in non-compliance with international safety standards may be grounded until corrective measures are adopted by the aircraft operator. The Portuguese insurance legal regime applicable to aviation is currently set forth in Decree-Law No. 321/89 of 25 September, as amended by Decree Law No. 208/2004 of 19 August, and in Regulation (EC) No. 785/2004 of 21 April, as amended by Regulation (EC) No. 1137/2008 of 22 October and by Commission Regulation (EU) No. 285/2010 of 6 April, on insurance requirements for air carriers and aircraft operators. The purpose of these pieces of legislation is to set out minimum insurance requirements for air carriers and aircraft in respect of passengers, baggage, cargo and third parties, for both commercial and private flights. Pursuant to the applicable law, the obligation to conclude an insurance agreement is applicable irrespective of the nationality of the operator or of the aircraft, provided that the operator is authorised to operate between two or more locations situated in national territory. Additionally, Decree Law No. 223/2005 of 27 December, sets forth the insurance requirements applicable regarding non-commercial operations by aircraft with a maximum take-off mass of 2,700kg or less. Insurance and reinsurance activities are regulated and therefore the exercise of said activities by, and the incorporation of, insurance or reinsurance companies in Portugal is subject to specific requirements set forth in the Portuguese legal regime applicable to insurance and reinsurance activities approved by Law No. 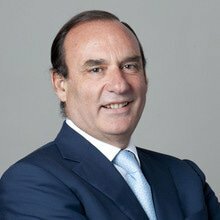 147/2015 of 9 September, which was implemented into Portuguese law through Directive 2009/138/EC of the European Parliament and of the Council of 25 November 2009 on the taking-up and pursuit of the business of Insurance and Reinsurance (Solvency) (as amended). Moreover, compliance with insurance requirements described in the provisions of Decree-Law No. 321/89 of 25 September is ensured by ANAC. The evidencing of insurance certificates or policies is mandatory whenever the supervisory authority so demands. Lack of evidence of the above-mentioned insurance documents leads to the seizure of the aircraft. In Portugal there are no specific regulations regarding competition for the aviation sector. Therefore, the applicable regime is the one provided in the competition legal regime enacted by Law No. 19/2012 of 8 May (the Competition Act) and EU antitrust law. Regulation (EC) No. 487/2009 of 25 May establishes the possibility of non-application of antitrust rules in certain agreements or concerted practices in the aviation sector. These exemptions are granted only for a limited period and are only justified by the need for adaptation required by the airlines to operate in a more competitive market. The provisions of the Competition Act are enforced by the Portuguese Competition Authority. In general terms, in Portugal, all agreements, collective decisions and recommendations, as well as concerted practices or decisions by associations of undertakings that aim or achieve to prevent, restrict or distort competition are prohibited. For that reason, undertakings must determine their market behaviour independently. Where this is not the case, and there is evidence of coordination or collusion, the existence of anticompetitive practices is likely and has to be corrected. There are different kinds of anticompetitive practices. However, the most relevant concerning the civil aviation sector are probably the collusive practices, namely horizontal agreements or cartels (i.e., coordination between competing undertakings positioned at the same level of the production or distribution chain, such as airlines). These practices include: price-fixing; limiting or controlling production, distribution, technical development or investment; sharing markets or sources of supply or applying dissimilar conditions to equivalent transactions. Hence, these prohibited agreements and practices, save for some exceptions, are null and void and may be punishable, depending on the severity of the restriction on competition, with fines of up to 10 per cent of the total annual turnover of the offender. Additionally, the rules provided in the general regime of administrative offences are alternatively applicable to collusive practices. Please refer to Section VIII.iv. The Civil Code and the Civil Procedure Code are applicable to the procedure for establishing liability and settlement. Regarding mechanisms used to settle claims, and timelines for settlement, no further specific rules exist on civil aviation. The limitation period for bringing claims, according to Regulation (EC) No. 889/2002 of 13 May is two years. Pursuant to the Civil Code, all parties (e.g., carriers, owners, pilots or manufacturers) responsible for damage caused are jointly and severally liable. Liability is allocated according to the respective fault or negligence, and the consequences, arising from the same. Therefore, the court may allocate a share of liability to some of the parties or to all of them. Portuguese Law contains some specific provisions on liability arising from the air transportation business, which are set out in Decree-Law No. 321/89 of 25 September, as amended by Decree Law No. 208/2004 of 19 August. the air carrier (i.e., the entity authorised to provide air services by transporting persons, luggage, cargo or mail in such an aircraft). any damage caused by the aircraft when moving on the ground or even when immobile. The obligation of compensation emerging from such liability shall, in principle, rank pari passu with the amount of damage actually originated, but the maximum aggregate amount (regardless of the number of injured parties), of such compensation is annually determined by a governmental order. This order determines also the minimum ceilings depending on the maximum weight of the aircraft on arrival, provided, however, that those ceilings shall be deemed not to apply should the injured party (or its successors or assignees) prove that the damage was caused by the wilful action or neglect of the owner, the operator or any of its representatives. Such liability is, therefore, unlimited. The owner and the operator's liability is, however, excluded in cases concerning damage caused by the aircraft as a result of acts of God or force majeure events, such as earthquakes or other natural cataclysms; armed conflicts, war, revolutions, insurrections or riots; and use by third parties of nuclear weapons or explosive devices. In the event that the aircraft is stolen or used illicitly by an unauthorised person, the liability in first hand of its owner or operator persists, for compensation of any damage caused by such action; the owner or operator is naturally entitled to a remedy from whoever caused the situation. The liability of the owner or operator also persists in the event of any damage caused to third parties if the aircraft was piloted or guided by the representatives of the owner or operator, even if overstepping their functions, without prejudice, of course, to the right of recourse. If two or more aircraft collide in the air or on ground manoeuvres, the obligation of compensation for damage falls on the owner and operator of the aircraft causing the crash. If the collision was caused by more than one aircraft, the obligation of compensation shall be divided on a pro rata basis, except if it is impossible to accurately determine who was responsible for the accident; in such an event, liability shall fall on an equal basis on all parties involved. Liability may also be based on criminal grounds. Decree-Law No. 10/2004 of 9 January adapts the general regime of administrative offences (Decree-Law No. 433/82 of 27 October) to the laws and regulations regarding civil aviation. The aforementioned legislation establishes the legal framework applicable to all civil aeronautical offences implicating a violation of any legal rules for which a sanction is imposed, except in relation to state aircraft. The legal types of administrative offences range through all the legislation applicable to the aviation sector. ANAC is the entity empowered to initiate, conduct, decide and apply sanctions in respect of legal proceedings concerning aeronautical administrative offences. In light of this, and provided that a complaint has been sent to the air carrier and the air carrier has not answered within six weeks of the date of receipt of the complaint, or the air carrier's response did not satisfy the passenger, passengers have the right to address a complaint to ANAC, which shall then analyse the possible breach situation and may initiate an administrative offence procedure. Passenger behaviour is also a concern in the aviation sector. Thus, Decree-Law No. 254/2003 of 18 October, was enacted to focus on the prevention and repression of unlawful acts carried out by disruptive passengers in commercial flights. Pursuant to Article 287, the hijacking or capture of an aircraft shall be punishable with a penalty of five to 15 years' imprisonment. Pursuant to Article 288, attempting an attack against the security on air transport shall be punishable with a penalty of one to eight years' imprisonment. Pursuant to Article 289, a person who pilots an aircraft and is not in a condition to comply with the safety requirements or is in violation of the applicable piloting rules and, therefore, creating danger to life or the physical integrity of another person, or to high-value assets, is punishable with one to eight years' imprisonment. If the crime is committed through negligence, the penalty is one to five years' imprisonment. Pursuant to Article 293, a person who throws a projectile against a moving vehicle (applicable to aircraft) may be punished with up to one year imprisonment or with a fine. Decree-Law No. 383/89 of 6 November transposes Council Directive 85/374/EEC of 25 July on the approximation of the laws, regulations and administrative provisions of the Member States concerning liability for defective products. This legislation is applicable to the aviation sector, although not specifically. Pursuant to the aforementioned Decree-Law, the producer is: (1) the manufacturer of a finished product, the producer of any raw material or of a component part and any person who presents him or herself as producer by trademark or name; (2) any person who imports into the Community a product for sale, hire, leasing or any form of distribution; (3) where the producer of the product cannot be identified, each supplier of the product, unless the supplier informs the injured person, within a reasonable time, of the identity of the producer or of the person who in turn supplied the product. Pursuant to the aforementioned legislation, the producer or manufacturer is liable, regardless of fault, for all damage caused by a defect in the product. According to the legislation, the compensable damage is that which results from death or personal injury or the damage caused to any item of property other than the defective product itself, provided that the item of property is of a type ordinarily intended for private use or consumption; and was used by the injured person mainly for that person's own private use or consumption. The injured person shall be required to prove the damage, the defect and the causal relation between the defect and the damage. Should two or more persons be liable for the same damage, they shall be severally liable and in the event of doubt, liability shall be apportioned equally. There is also a right of return that shall be decided according to the extent of the fault and its consequences. The liability of the producer may be reduced or disallowed by the court when, having considered all the circumstances, the damage is caused both by a defect in the product and by the fault of the injured person. This regime is applicable to the liability of the manufacturer of the aircraft or the manufacturer of its parts or spares towards passengers. As regards the liability of the manufacturer of the aircraft or the manufacturer of its parts or spares towards operators, the general rules of the Civil Code are applicable as well as the Conventions already mentioned. For owners' liability, see Section V.ii. Material damages include the reimbursement of medical costs and expenses, economic losses resulting from the damage as well as loss of income. In cases of death, funeral expenses shall also be reimbursed. Pursuant to the applicable law, moral damages that compensate pain and suffering depend on the extent of the fault, on the economic situation of the guilty party and the victim as well as on any other justifying circumstances. The amount of the compensation will depend, for example, on the extent and magnitude of the medical treatment, inability to work, number of dependents, psychological consequences and permanent damage. In cases of death, the compensation for moral damage shall be assigned together to the spouse or partner, ascendants and other descendents. If the deceased had no spouse or descendents, the compensation shall be assigned to the deceased's parents or other ascending relatives, or ultimately the deceased's brothers and sisters or nephews. According to the latest Portuguese court decisions on compensation for moral damage to the relatives of the deceased, the amounts range from €60,000 up to €100,000. Even though there is no specific state-funded social security support for the victims of aircraft accidents, the state provides proper medical care for injured or incapacitated people through public hospitals and social security. According to Law No. 48/90 of 24 August (the Basic Health Act), the national health service in Portugal is universal, providing healthcare services. Furthermore, state employees benefit from a special assistance scheme, which also includes their respective spouses, ascendants and descendants. If an accident results in a permanent loss of the ability to work, social security beneficiaries are awarded a disability pension. In the event of death, subsidies are assigned regardless of the cause of the accident and regardless of the requirements applicable to civil liability. Thus, the only condition that needs to be verified for the subsidy to be assigned is the fact itself (i.e., death). In light of this, there is no record of cases in which the Portuguese social security system has recovered costs from third parties. In addition, EU Regulation No. 996/2010 obliges the air carrier to provide the passenger list within a maximum period of two hours after an accident. The air carrier shall take actions by other means at its reach to locate any family members of victims with regard to whom nobody has shown concern. It will also deal with calls and queries about the accident victims, gathering all possible information about their families. The legislation applicable to occurrence reporting in civil aviation is Decree-Law No. 218/2005 of 14 December, which transposes Directive No. 2003/42/CE of 13 June, and is applicable to all occurrences related to (1) aircraft with a Portuguese registration number, (2) aircraft with a foreign registration number provided they are used by national air carriers or foreign air carriers established in Portugal, and (3) aircraft with foreign-registered numbers whenever the occurrence takes place in Portuguese national territory or airspace. This Decree-Law is applicable to any events that endanger or, if not corrected, may endanger the aircraft, its occupants and any third parties. Decree-Law No. 218/2005 lists a number of occurrences that shall be notified to ANAC by any entity or single person that becomes aware of such events as per the performance of their duties. Serious occurrences shall be notified within six hours. Non-serious occurrences shall be notified within 72 hours. The information resulting from the occurrences reporting is analysed by ANAC in order to ensure, internally and externally, confidentiality of data and of information sources as well as the civil aviation personnel's trust. Also, pursuant to this diploma and without prejudice to the powers attributed by law to judicial authorities, the identification of the person communicating the occurrence or incident as well as of any other person intervening is confidential. In addition, ANAC shall refrain from initiating any proceedings in respect to unpremeditated or negligent infringements that come to its attention only because they have been reported under the national mandatory occurrence-reporting scheme, save for cases of gross negligence. Lastly, employees who report incidents of which they may have knowledge cannot be subjected to any disciplinary procedures. The Portuguese government entered into a memorandum of understanding with ANA Aeroportos de Portugal on 16 February 2017, through which the latter prepared an environmental impact study for implementing a new airport in Montijo. Although there are concerns regarding the impact on local fauna and flora, the study finds the project feasible and suggests a series of compensatory measures in order to reduce said impact. The study will be analysed by the Portuguese Environment Agency and will be in public consultation for 40 days. It is expected that the construction works of the new Montijo Airport will start next year and be completed in 2022. Cadet pilot training and practice and aeronautical mechanics continues to represent an important market in Portugal. In 2017, new players entered this market, offering tailored international training solutions for aspiring cadets thus contributing to meet the growing worldwide demand for pilots. Portugal is taking the initial steps to follow the European financing trend on the aviation market by assessing the possibility of raising capital through the use of take-off and landing slots as collateral to secure debt and to make new investments. One of the first companies that employed this mechanism was Virgin Atlantic, using its slots at London Heathrow Airport as collateral for a private placement bond, the largest non-bank related debt-financing arrangement involving slots gates and routes as collateral, the proceeds of which were used to finance new aircraft orders. The legislative trend of reducing the involvement of courts in the judicial system has progressively extended mediation to a number of legal areas, with the intent of turning this mechanism into a valid and effective dispute resolution alternative. Mediation can be public or private, and makes it possible for one or several parties in dispute to voluntarily reach an agreement with the participation of one or several conflict mediators. According to Law No. 67/2013 of 28 August, as amended by Law No. 12/2017 of 2 May (which establishes the legal framework of autonomous administrative entities with regulatory functions for the economic activity of the private, public and cooperative sectors), as well as ANAC's Organic Law, ANAC may promote voluntary arbitration for the resolution of disputes and provide conflict mediation services. Pursuant to the aforementioned Law, regulatory entities are empowered to solve conflicts between operators and consumers upon the request of the interested parties by proceeding with complaint-handling procedures through mediation, conciliation or arbitration; these procedures shall be simple, fast and generally free. However, this mediation activity has not yet been implemented by ANAC. In relation to the operation of unmanned aircraft systems (e.g., drones), EC Regulation No. 216/2008 of 20 February 2008 mandates EASA to regulate these systems when used for civil applications and with an operating mass of 150kg or more. On 14 December 2016, Regulation No. 1093/2016 was published in the Portuguese Official Gazette, setting out the operating conditions applicable to the use of airspace by remotely piloted civilian aircraft systems (drones). Lastly, fees applicable to the licensing of activities are under review. 2 Pursuant to a decision of the Lisbon Court of Appeal dated 29 April 2010, moral damages can only be awarded if the intention of causing the damage is proven, even if the damage was caused by imprudence or negligence.